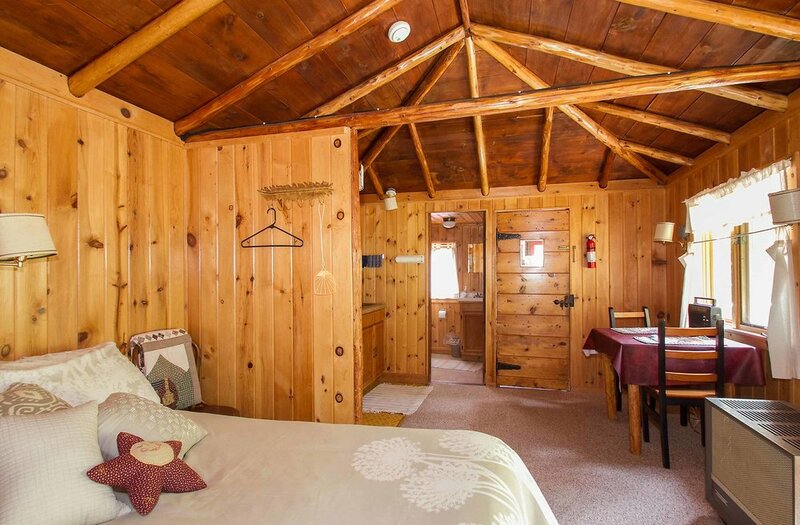 A cozy, one room split-log cabin in a sunny woodland setting, just 400 feet from the lake. 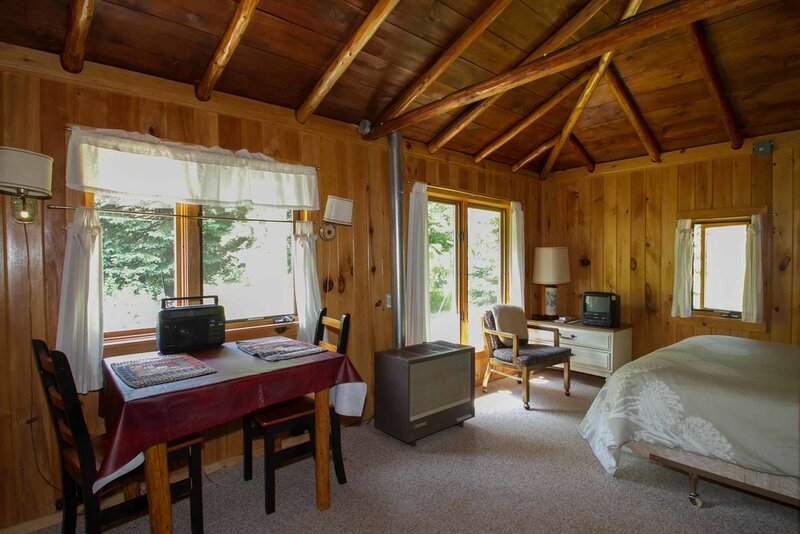 One bedroom with queen bed, kitchenette, sitting / dinning area, vaulted ceilings and large sun deck. 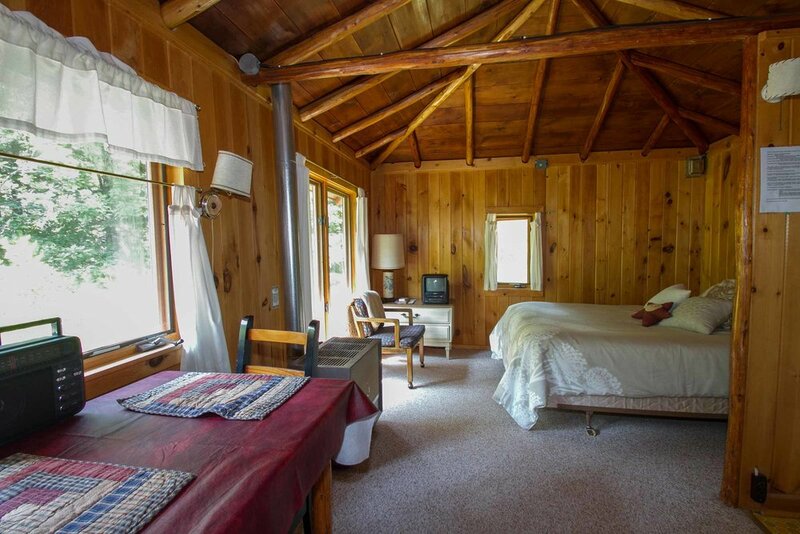 Great place for last minute plans or an overnight stay. Evergreen photo gallery below. Located on the resort's entrance road.